The navy with caramel leather Slide Camera Strap SL-T-2 from Peak Design is an adjustable camera strap that can be worn as a sling, shoulder, or neck strap. It features Peak Design's unique Anchor Link system to quickly attach and detach the strap from your camera. 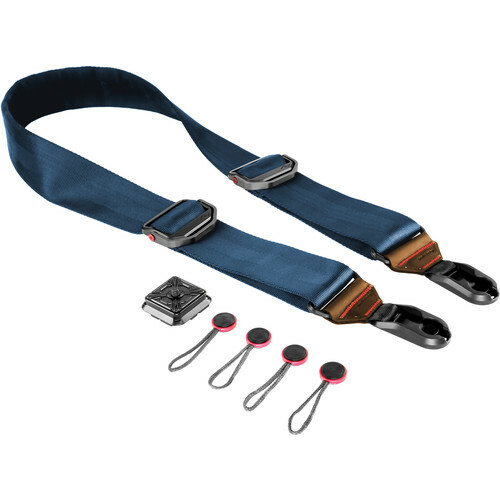 Two latches on the strap allow for one-handed adjustment to the strap's length from 39" to 54"..